Bibleway Fellowship Tabernacle 6, Ondo Str, Oworonsoki, Lag. Nig." and teach us what we shall do unto the child that shall be born. GOD HAS ANSWERED THE PRAYERS OF MANOAH FOR OUR AGE TOO, BECAUSE HE HAS SENT TO US THE MAN OF GOD EVEN HIS PROPHET (WILLIAM MARRION BRANHAM) TO TEACH US WHAT WE SHOULD DO WITH THE CHILDREN WE ARE BRINGING FORTH INTO THE WORLD. WE HAVE BEEN TAUGHT THE IMPLICATION AND DELICACY OF OUR INFLUENCE ON THEM, WHAT WE SHOULD MAKE THEIR VALUES, THE ATMOSPHERE UNDER WHICH WE SHOULD MAKE THEM GROW AND HOW THEY CAN KNOW THEIR GOD IN SALVATION AND TRUST HIM FOR EVERYTHING. OUR PROPHET TAUGHT US THAT' GOD WILL JUDGE OUR INFLUENCE ON OTHERS. HE FURTHER TOLD US THAT MOST OF THE JUVENILE DELINQUENCIES WE ARE HAVING ARE CAUSED BY PARENTAL DELINQUENCIES, THE PROPHET IN A SERMON SAID OF HIS CHILDREN THAT "HE DOES NOT KNOW WHAT HIS CHILDREN MIGHT GROW TO BE BUT IF THEY TAKE A WRONG TURN, MAY THEY REALIZE THAT THEY ARE WALKING OVER THE PRAYERS AND EFFORTS OF A RIGHTEOUS FATHER. YES, IT IS ONLY WHEN WE HAVE DONE OUR PART AS REVEALED IN THE WORD OF GOD CAN WE BE DESCRIBED IN GOD'S GREAT ETERNAL RECORD AS RIGHTEOUS PARENTS. Here Are Some Useful Hints Extracted From The Message Of The Hour That Will Help Us In Our Drive Towards Being A Righteous Parents. 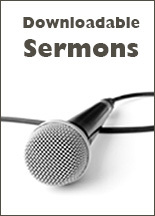 The Hints Are However In-exhausetive And We Could Get More As We Study More Of God's Word.
"" 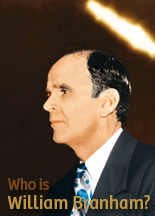 GOD THOUGH IT,,, BROTHER BRANHAM SPOKE IT,,, AND I BELIEVE IT""
WHEN IS THE TIME TO DO IT? NOW!!! As I awoke this morning, I began the morning as I do every day; I Spoke To HIM. How could I start a day without speaking to Him first? I then began to get ready to come to work. I placed my MP3 player on my side to hear the Prophet and the Message that I love so dear. While listening to that Voice and making my breakfast, my heart stirred within me as I heard the Prophet speaking the Words Of Life. I went into my living room to read my Bible: the book of Acts. How excited I was to read the Words of Paul and to think about all he had to endure for this Gospel. As I knelt down to pray, I began to reflect on what an Honor and Privilege it was to start my day Speaking to the Lord; hearing His Prophet's Voice and the Message that is Perfecting and Calling Out A BRIDE; reading His Holy Word; Worshipping Him; Calling Upon His Name and knowing He was there to Hear My Prayer; and having the Assurance in my heart that this Word is Truth and is Alive in my life today. Paul stood before Agrippa, proclaiming a resurrected Jesus Christ. He had no fear when the serpent bit his hand. He was not afraid. He was so full of the Holy Ghost that he KNEW it could not harm him. Oh Lord, let that LIFE live in me! What a privileged people we are! What a time we are living in. To think that He knew us before the foundation of the world and Predestined us to be Sons and Daughters of God: to be living in the time that the Saints of old wanted to be living in. WORDS CAN NEVER EXPRESS THE LOVE I HAVE FOR OUR LORD AND SAVIOR, FOR THIS MESSAGE, AND FOR YOU, HIS BRIDE. MAY I NEVER TAKE THIS MESSAGE, OR THE PRIVILEGE I HAVE TO SERVE THE BRIDE, FOR GRANTED!